The Elder Scrolls told of their return! Skyrim Special Edition is now available on Steam for purchase. As a reminder if you own Skyrim + All DLC on Steam by the end of October 28th, you will be entitled to a free upgrade to Skyrim Special Edition. Update:Update: Please note this offer is no longer valid. 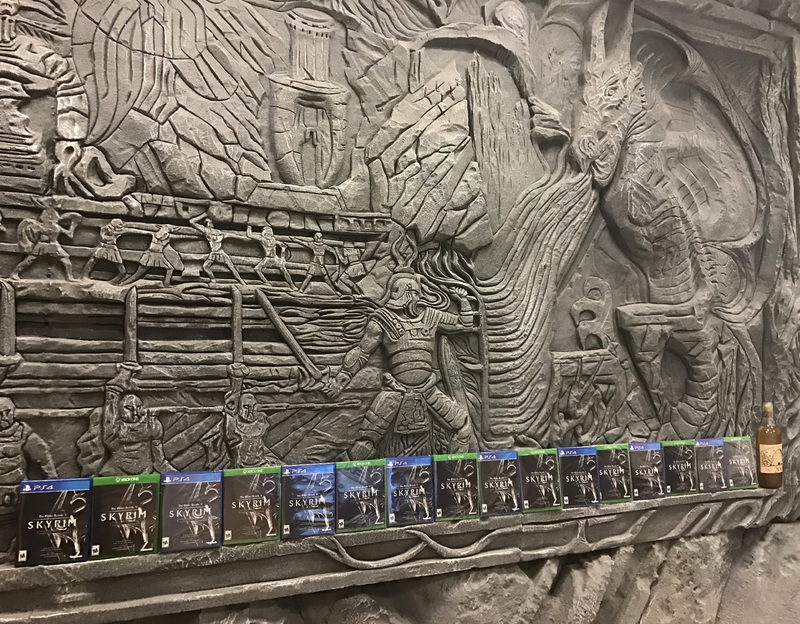 Skyrim Special Edition arrives in a few weeks on October 28, and for anyone that owns the main game and all three DLCs (Dawnguard, Hearthfire, and Dragonborn), you will receive Skyrim Special Edition separately in your Steam Library at no additional cost. Anyone that owns Skyrim Legendary Edition on Steam. Anyone that owns Skyrim and all three DLCs (Dawnguard, Hearthfire, Dragonborn) on Steam. To ensure eligibility, you must own all Skyrim content on Steam on or before October 28th. We’ve had a long and excellent relationship with our good friends at Valve. We worked together to make the Workshop a huge part of Skyrim, and we’re excited that something we’ve been working together on for a long time is finally happening. You can now charge for the mods you create. Unlike other curated games on Steam that allow users to sell their creations, this will be the first game with an open market. It will not be curated by us or Valve. It was essential to us that our fans decide what they want to create, what they want to download, and what they want to charge. Many of our fans have been modding our games since Morrowind, for over 10 years. They now have the opportunity to earn money doing what they love – and all fans have a new way to support their favorite mod authors. We’ve also updated Skyrim and the Creation Kit with new features to help support paid mods including the ability to upload master files, adding more categories and removing filesize limit restrictions. As a modder, you now have the option of listing your creations at a price determined by you. Or, you can continue to share your projects for free. For those shopping for new mods, Valve is making sure you can try any mod risk free. See Refund Policy. For full details on these changes to the Skyrim Workshop, check out Steam’s announcement page and FAQ. Modding has been important to all our games for such a long time. We try to create worlds that come alive and you can make your own, but it’s in modding where it truly does. Thanks again for all your incredible support over the years. We hope steps like this breathe new life into Skyrim for everyone.